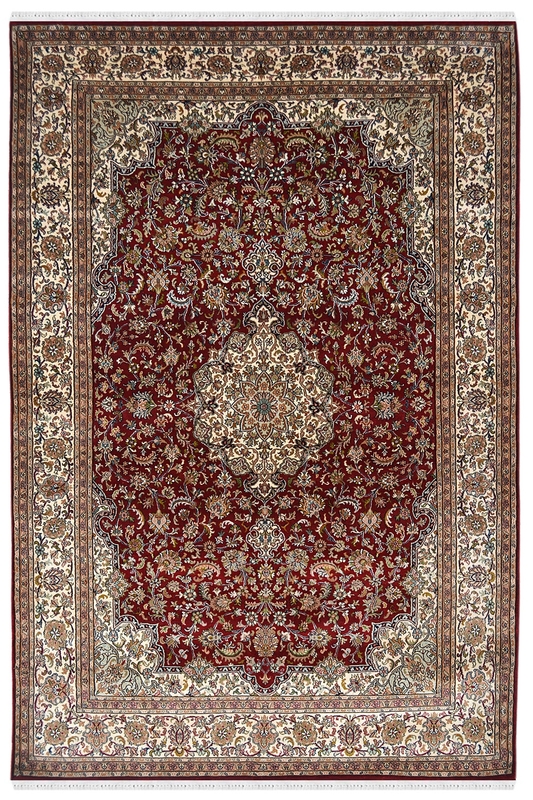 To add an interest on the surface of your floor, choose this Persian design silk rug from India. This piece of silk rug would be of luxury in the ancient times as well as the luxury of your every living space. If you want to be a part of this beauty and excitement, then buy this product only from Rugs and Beyond and give a classic stunning look to your decor. It has taken about 7-8 months to weave.